We like Bishop's Legacy. The owners are super nice and the food and drinks are affordable. On nice days, we like sitting on their patio, soaking up some rays, people watching and sipping their take on the Moscow Mule. 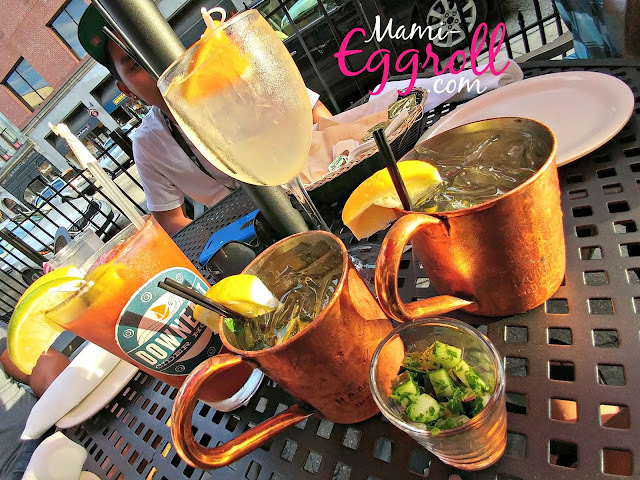 The Moscow Mule is one of my favorite summer drinks and Bishop Legacy's has its own "Lebanese" twist by incorporating muddled lemon and mint into the ginger beer and vodka concoction. The Bloody Mary with tabbouleh is also good. Tabbouleh is a Middle Eastern staple made with parsley, mint, Bulgar, onion, olive oil and lemon juice. If you are unsure, ask for the blend on the side and try a little. When we are hungry, the Lebanese nachos is our go to choice. The chips aren't the traditional tortilla chips but actual pita chips fried to a perfect crunch. It is topped with homemade kibbe and buffalo tarator sauce. It is heavenly! 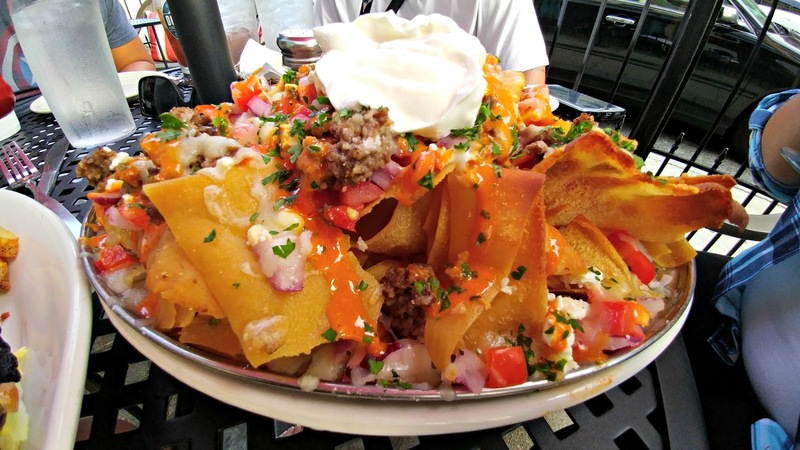 If our appetite is a bit heartier, we order an entree. 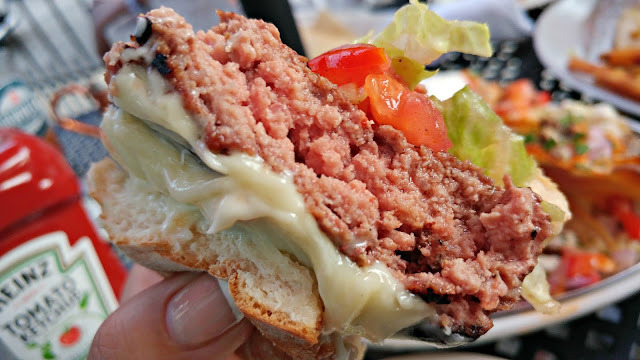 The "Bishop Big Burger" is self proclaimed to be the biggest burger in Lowell at 12oz of ground sirloin. 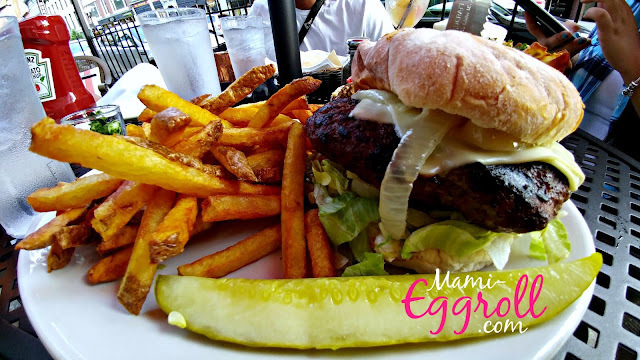 The burger is topped with American cheese, caramelized onion and served with their famous fries and a dill pickle. The burger was juicy and cooked to perfection at the requested medium preference. I recommend Bishop's for all occasions whether it's a casual post work drinks or a romantic date night. The food is great, service is wonderful and the prices are reasonable. Here is another review for Bishop Legacy's entrees and restaurant interior.